Children are little explorers and everything piques their curiosity. So, even basic household items like window fashions can turn into potential hazards for them. Upgrading to cordless window treatments is a great way to minimize a hazard near your windows. Cords on many window coverings pose a huge threat to children, infants, and pets, as they can become entangled and or strangled. Upgrade to Motorized window treatments. Motorized window treatments eliminate cords, wires, and chains completely as well as removing the need to manually adjust your shades. This not only creates a safer space for your family but leads to less wear and tear. If you have corded window treatments, do not allow the cords to hang loosely within a child’s reach. You can achieve this by shortening the cords, or placing a hook high up near the window where the cord can be wrapped around when not in use. Shorten, or hook the chains from vertical blinds so children cannot access them. Keep beds and/cribs away from windows and window coverings. If your children play near windows, educate them on the risks and establish safety rules. 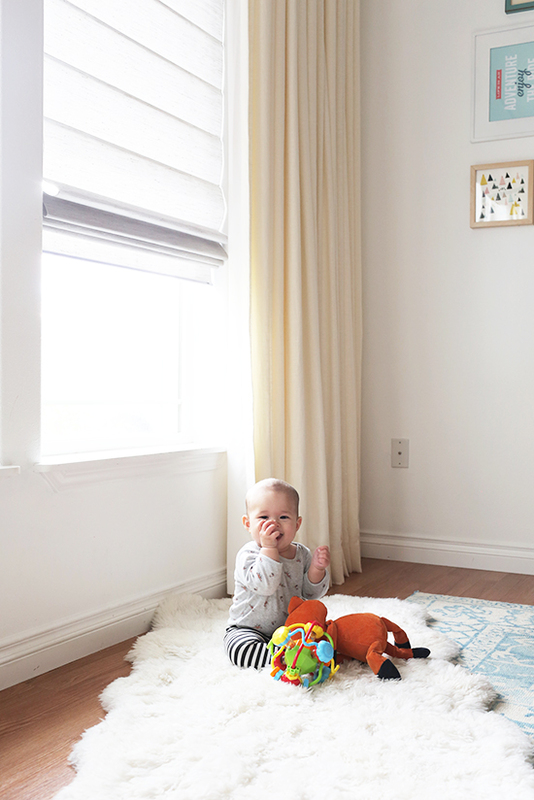 Finding the right window treatments for homes with infants, young children and pets does not mean you have to sacrifice beauty for safety. With our custom window treatments, you can have both. At Decosol, we have a wide range of products to help significantly reduce the risk of accidents by eliminating potentially hazardous free-hanging or exposed operating cords. For more information or to schedule your free in-home consultation to upgrade your space with custom fashionable and child safe window treatments, contact us today!